Why should you consider buying property in Denver in times like these? We have all heard the media reports about how the sky is falling. Every other house is foreclosing and values are a mere fraction of what they were just a few years ago. And if that is not enough, your home will be covered by water within 10 years due to global warming. So the question is, why would anyone want to buy property in Denver, Colorado at a time like this? The truth of the matter is that if we dig through all of the sound bytes and look past all of the sensationalism, we are starting to see indicators that the market in Denver provides some great opportunities to buy real estate. Now some will tell you, "you must be crazy, we haven't hit the bottom yet!" For those of you who feel this way, I would ask you to think of a little rubber bouncy ball. If I asked you to drop the ball from above your head and catch it at the lowest point, what do you think would happen? In all likelihood, you would either catch it shortly before it hits the floor or shortly after it was on its way back up. It is at the bottom for only a split second so your chances of timing it just right are not at all likely. Furthermore, it doesn't really matter on which side you catch it. The important question here is how long are you going to keep the property? If the answer is at least five years, then it will not have mattered on which side of the curve you purchased the home (or caught the bouncy ball). At then end of this time period, the value will have gone up above the point of purchase. When you try to time the exact bottom, you are just as likely to end up buying on the way up as you are at the bottom or on the way down. The only time that we know when we have reached the bottom is when we are already on the way back up. Therefore, we have to look at the indicators to tell us when we seem to be getting close to the bottom. Inventory is shrinking. The number of homes on the market has recently dropped to a seven month supply. An eight month supply indicates a buyer's market and a six month supply indicates a seller's market. We are now in a slightly neutral position. This decrease is due to a number of factors. First, activity has increased. While 2007 marked a period where buyers sat on the sideline and waited for the market to crumble, the stability of the market has led these buyers to act in 2008. Home sales in April where up 15% over those in March. Additionally, builders have cut back significantly on new home starts. The 4th quarter of 2007 had the lowest level of new home starts in 20 years. While this has other economic ramifications, it has helped to shrink the housing inventory. Lastly, the average days on market is consistently declining from the levels in 2007. So what does all of this mean? Even though on average prices have continued to decline by about 2 to 2.5%, this is a continually shrinking number. Furthermore, there have been many areas in the metro area that have held steady or have even shown increases in price. What helps make the Denver market look attractive in addition to the stable housing picture is our relatively positive economic outlook. Our unemployment is below the national average and is expected to decrease in the coming year. We have a relatively low cost of living compared to many major markets across the country. And perhaps most importantly, our housing correction took its biggest hit in 2001. Since that time, we are holding up very well compared to most markets across the country. Forbes Magazine even named Denver as one of its "10 Best Cities for Home Sellers" in its April issue. The bottom line is that it is a great time to buy property in Denver. Interest rates are still at historic lows and prices have stabilized. The savvy investors are buying now because once the signs are obvious that the market is going up, everyone else will be jumping into the fray and the competition will further boost prices. The opportunity will have already gone. 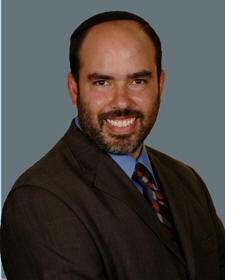 Scott Friedman is a top producing agent for Prudential Colorado Real Estate. He specializes in market trends and analysis and continues to excel in today's opportune market.